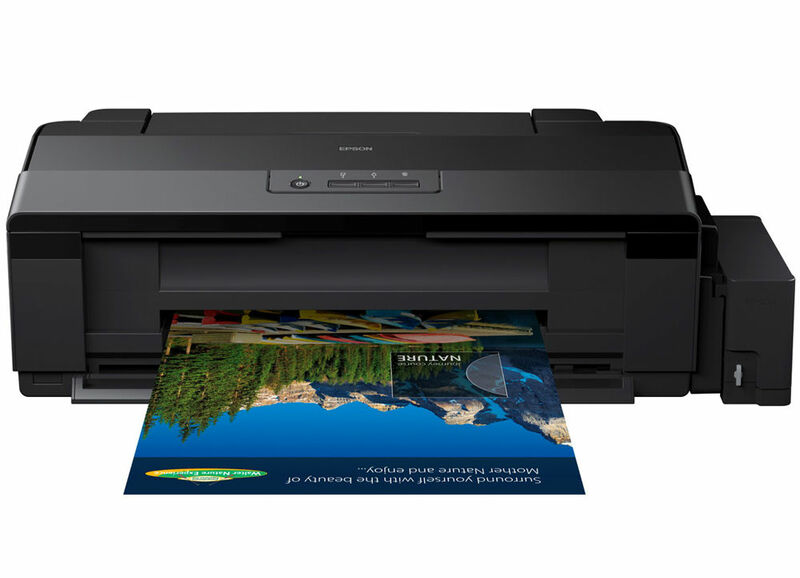 The Epson L1800 TANK A3 Printer is your tool to get your paper inked faster. It has 90 nozzles of each colour and has a maximum resolution of 5760 x 1440 dpi. It supports both bi-directional printing and single directional printing. It is extremely efficient and durable. It has 50 sheets, A4 Plain paper, 20 sheets, Premium Glossy Photo Paper of total output capacity. The printer can be connected easily using USB cable. It helps to save the cost and can print up to A3 size. No matter how much the Computer technology advances; we still love to operate through the mouse and keyboards. Infibeam ranges a wide range of various mouse and keyboards! Paper Size A3, A3, B4, A4, A5, A6, B5, 10x15cm (4x6), 13x18cm (5x7), 16:9 wide size,Letter (8.5x11), Legal (8.5x14), Half Letter(5.5x8.5), 9x13cm (3.5x5),13x20cm(5x8), 20x25cm(8x10), Envelopes: #10(4.125x9.5)DL(110x220mm), C4 (229x324mm), C6(114x162mm)"
Print Margin 0mm top, left, right, bottom via custom settings. Otherwise 3mm top, left, right, bottom. Best printer., easy refilling, printing quality best, very fast delivery from seller, great deal from infibeam, lowest price and superb service from infibeam. Thanks infibeam. Must have printer for every office...the printing quality and speed both are good!